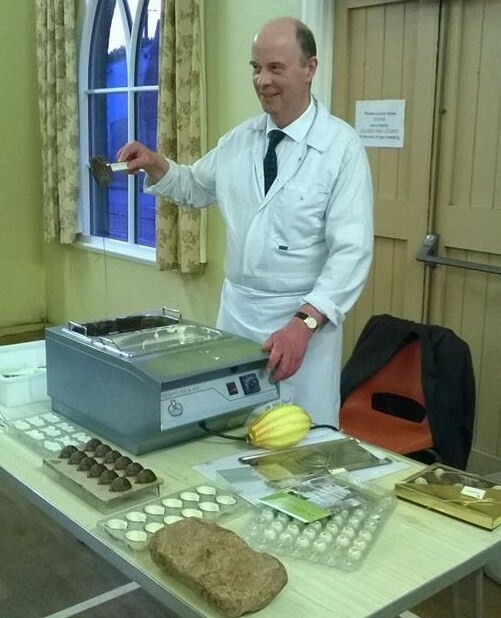 We recently had a talk about chocolate making, from a chocolatier in Tarporley. It was very informative – he certainly knew his stuff, and it was fascinating to hear about the history of the company and how they arrive at the final product. 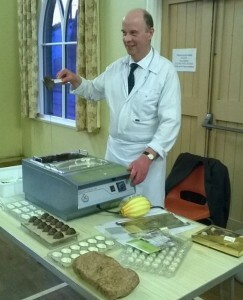 The shop now occupies the Old Fire Station in Tarporley, and members of the public can see the chocolate making process for themselves. Parties need to make advance arrangements of course. The shop has featured in several TV programmes, from ‘Antiques Road Trip’ to ‘The Planners’. Needless to say it would not have been a Soroptimist ‘doo’ without a superb buffet provided by members and, of course, the inevitable wine! On this occasion we were given home-made truffles which were delicious. As it was a ‘Friendship evening’ we had the pleasure of the company of guests from other clubs,and it was a very pleasant occasion.